Left – gallbladder with stones. Right – 952 gallstones from my 35-year-old male patient who presented with chelecystitis, pancreatitis and common bile duct stones. How many gallstones does it take to get symptoms? Just one. The size and shape of the gallstone does not matter. The more stones you have the more risk of getting symptoms. There are many patients who have gallstones and have no symptoms. These patients do not require surgery until they are symptomatic or they are moving to a country where the health care system is not very reliable. 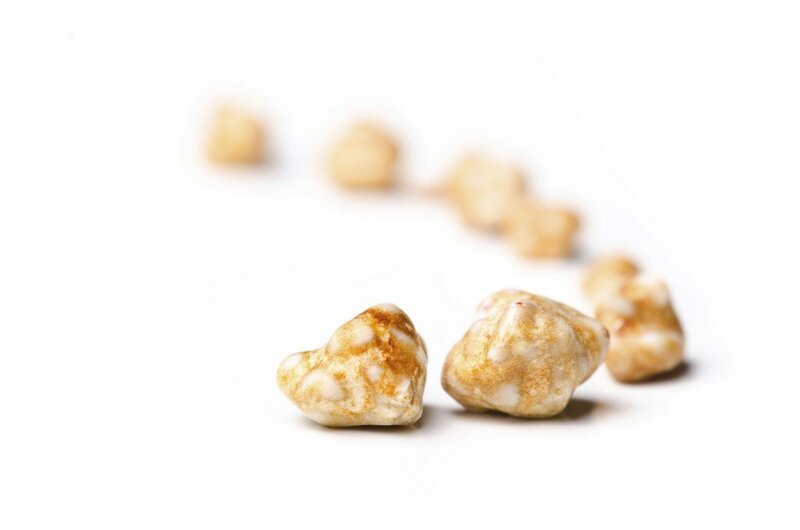 What is the world record for the number of gallstones removed from a single gallbladder? According to a Medical Post (October 6, 1987) clipping I have on file, two British surgeons claimed a world record for the the number of gallstones removed from a single gallbladder – 23,530. This was in an 85-year-old woman who presented with severe colicky central abdominal pain. The gallstones are now in the pathology museum at St. Thomas Hospital medical school in London, England. I wonder who counted them all. On October 8, 1987 I removed a gallbladder from a 35-year-old Saskatchewan man which contained 952 gallstones (see picture). I counted these myself! The man presented with gallstone pancreatitis and jaundice. He had severe upper abdominal pain and vomitting. He also had stones in the common bile duct. This is the duct which transports bile from the gallbladder to the intestine to help us digest food. Who is the youngest patient to have gallbladder removed for gallstones? According to Guinness World Records, an American child, Danylle Otteni was five years and six months old at the time she had her gallbladder and gallstones removed in Philadelphia, Pennsylvania, USA, on 14 October 2007. If I remember correctly, my youngest patient was around 14 years old. Gallstones are very common in Western countries. Probably due to our diet which is high in refined and processed food. There are other factors which can contribute to gallstone formation. But we do not know exactly why some people have gallstones. There is some chemical imbalance in the bile which precipitates cholesterol to form a nucleus for a stone. On the basis of their composition, gallstones can be divided into the following types: cholesterol stones, pigment stones and mixed stones. The treatment for symptomatic gallstones is surgery. It is the commonest elective general surgical procedure we do. Once, the surgical procedure of choice was open cholecystectomy. In fact, Carl Langenbuch carried out the first cholecystectomy in 1882. Patients who undergo open cholecystectomy have a long surgical incision in the abdominal wall, have to stay in the hospital three to five days, consume fair amount of pain killers for post-operative pain and the recovery time at home is three to six weeks. Things have changed in the last 15 to 20 years. Now most patients undergo laparoscopic cholecystectomy for symptomatic gallstones. Laparoscopic cholecystectomy was first performed in France in 1987. There are four tiny incisions in the abdominal wall, the hospital stay is usually overnight, the amount of pain killers required after surgery is minimal and the recovery time at home is usually less than one week. That is called progress. Painkiller Use in Seniors with Non-Cancer PainMay 30, 2017In "Medicine Hat News"